Phone XR has officially opened pre-sales, and its sales prospects are very optimistic. It believes that it will account for half of the sales of Apple’s mobile phones in the future, and some people are obviously pessimistic. They think that it is not worth the price at all. Pre-sales do not need to be robbed. These and not to mention, why is iPhone XR called iPhone XR? What does the ending “R” mean? Apple’s senior vice president Phil Schiller was asked this question when he was interviewed by foreign media. The answer he gave was surprising: Apple did not choose the first letter for a particular word or phrase for the iPhone, which has been the case since the iPhone 4S. Although some people think that the “S” at the end of the iPhone 4S stands for Siri, Apple has never confirmed it. After the iPhone 5C is even more so, the table China, Cheap, Color and other various statements, but Apple is not open. Interestingly, Schiller said that XR and XS are very meaningful to him personally because he likes cars and things that run very fast, and R and S are closely related to sports cars. 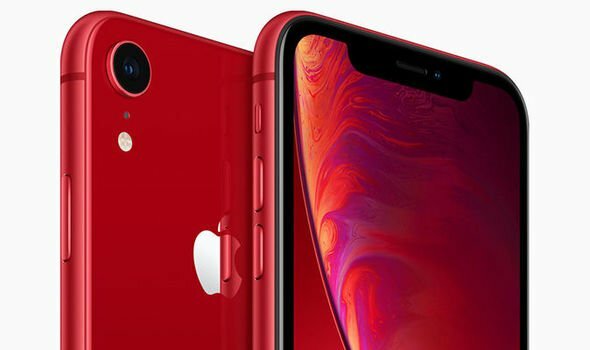 In addition, the screen resolution of the iPhone XR is only 720p level (1792 × 828), and even the low-end machine of the Android phone is 1080p, many users are quite dissatisfied, and very incomprehensible. Schiller said that the only criterion for judging the screen is to take a good look at it. Apple’s screens are all “retina screens” because the human eye can’t distinguish individual pixels unless you put your face on the screen. If you don’t see a single pixel, the resolution number doesn’t mean anything.